Posted on October 9, 2007 by Elizabeth E.
Fall has come to our house. 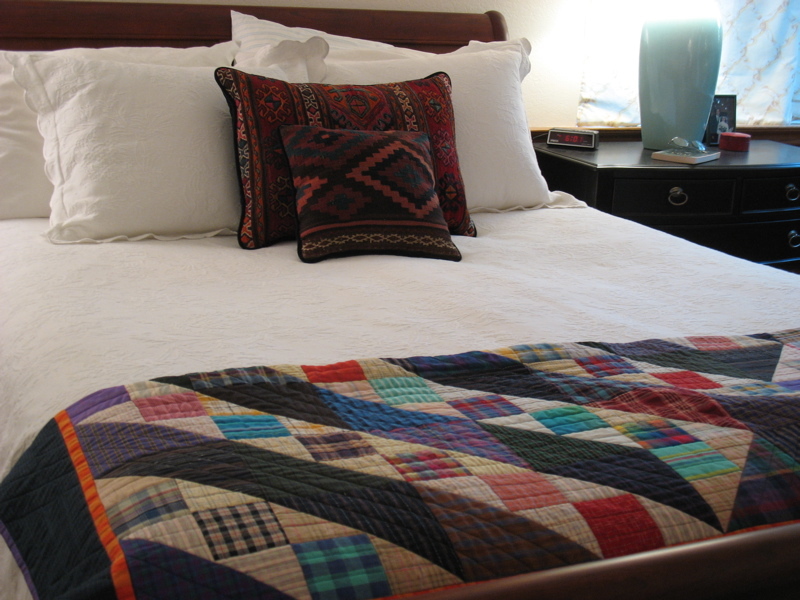 Kilim pillows on the bed, along with a plaid quilt. 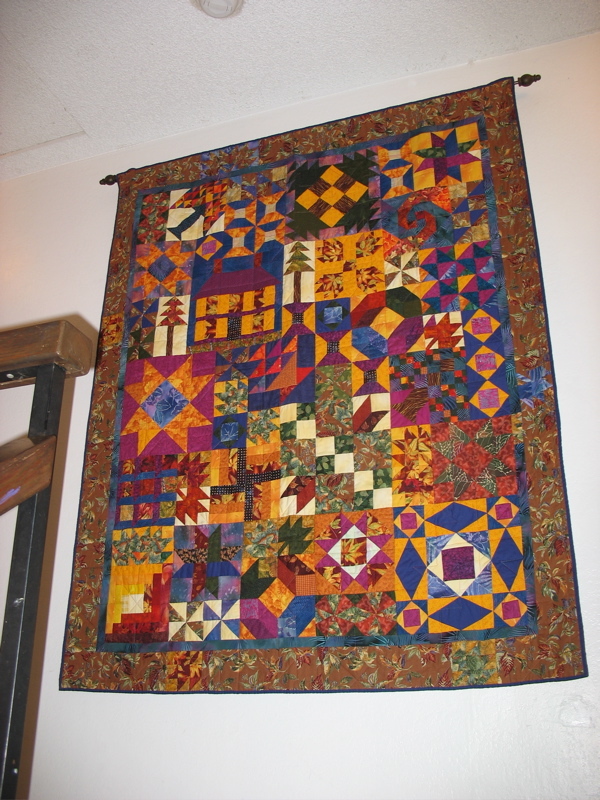 The quilt that was inspired by a photograph of my niece Emma standing in the fall woods, is hanging in the hallway. Of course, that means that the temperature climbed into the 80s today, and the Santa Ana winds were clocked at 40 mph. I always think of Joan Didion’s piece about San Bernardino (Some Dreamers of the Golden Dream) when I hear the newscasters speak about the Santa Anas.